In 2006 restaurateur Tan Do opened the doors to Little V The Hague, a small establishment in the heart of the city. Driven by the idea to leave a mark on the masses and let them get to know the Vietnamese kitchen. Around the clock the concept was realized, but no matter where it would lead the restaurant was built with one important philosophy. Little V had to serve great food, with hands on personal service combined with an attentively designed interior. In 2009 Little V Rotterdam opened his doors. Now ten years later and several expansions further, Little V The Hague and little V Rotterdam, have grown to established names in the Vietnamese cuisine. Diner at Little V is about getting to know the culture of the south- Vietnamese cuisine. The history of the nation has left a rich mark on the dinning culture. With influences reaching from China to Indonesia and even France, the Vietnamese cuisine combines the best of all! The use of ginger, lemongrass, lots of fresh herbs and peppers gives the food its complex flavors. This all makes for healthy, flavorful and well-priced food. Shared dining is upcoming, trendy and most of all a lot of fun! Little V is the place to experience this first hand. The food, all served in the middle of the table for everyone to taste. Whether u want to have a nice romantic evening or a nice family diner, Little V is the place for a lovely evening. Crispy coconut pancakes with fresh prawns, top quality stir-fried beef with Vietnamese basil or a traditional pho soup. Our flavorful, mild dishes served with fresh herbs are a true pleasure. This combined with our home made iced teas, fresh juices or exotic cocktails, makes a one of a kind experience. Many people have eaten with us and shared their experiences on Tripadvisor.  Both establishments have been awarded with the certificate of excellence by consistently receiving great reviews from our guests. Something we are of course very proud of!